Although it's only a manip, we found this New Moon poster on ROBsessed and decided it's just too yummy not to pass it on to our readers. Nom-Nom-Nom!! Look what I found in my March issue of the Costco Connection! 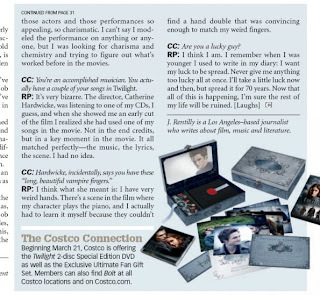 They interviewed Robert Pattinson to correspond with the release of their Special DVD and Exclusive Ultimate Fan Gift Set. Thanks, Costco! have always been attractive, haven’t they? a bad boy, all the things girls find attractive. worked before in the movies. have a couple of your songs in Twilight. the scene. I had no idea. enough to match my weird fingers. CC: Are you a lucky guy? who writes about film, music and literature. I found this on Twilight Lexicon and had to share...The Twilight Sisterhood loves Jackson & 100 Monkeys! 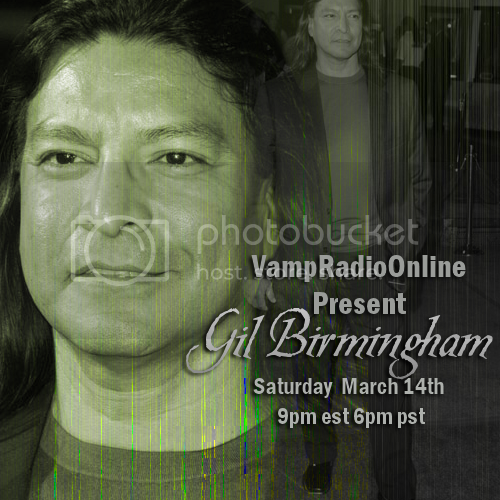 Vamp Radio, the host of the weekly Twilight Hour show, has Twilight related guests on two of their upcoming shows. 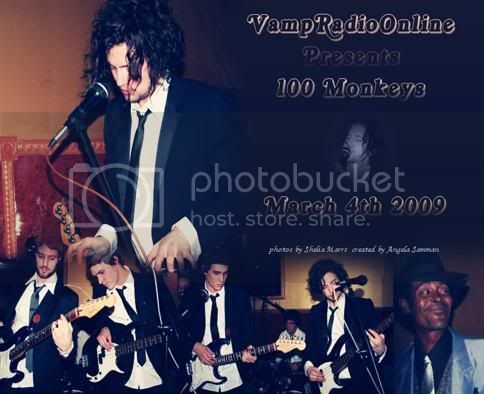 First up is Jackson Rathbone’s band 100 Monkeys, March 4th at 9pm est/6pm pst. Listeners are encouraged to sign in with a screen name to participate in the chat as well as call in with questions. *Question you would like to ask our guest. Casting Complete for New Moon? New Director for Eclipse? Although we previously reported Entertainment Weekly's claim that Drew Barrymore was in the running to direct Eclipse, LIVE-PR is reporting otherwise. They also say that casting is finally complete for New Moon although Summit has yet to comment on either issue. The casting director for New Moon, Joseph Middleton, has announced that "We are finished with the casting process". No details on the cast list has been released by Summit Entertainment. (live-PR.com) - The rumor mill has been on fire with talk of Madonna, Vanessa Hudgens, AnnaLynne McCord, and Dakota Fanning being hired for a coveted spot on the New Moon cast, however there has been no official confirmation of any of them being hired. There have also been rumors circulating that Drew Barrymore will be directing the third installment of Stephenie Meyer's Twilight Series. These rumors are false. Due to the New Moon production schedule for director Chris Weitz, his brother and co-owner of "Depth of Field Productions" - Paul Weitz - will be directing Eclipse. Chris Weitz is about to start directing "New Moon" but will still be in post-production when the third film starts shooting. 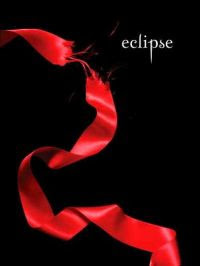 Just last week, Summit officially announced "Eclipse" will be released in theaters June 10, 2010. Eclipse will NOT be filmed back-to-back with New Moon, and there will be completely separate casting cycle. Details about future auditions and open casting calls for Eclipse can be found on the following auditions website: acting411. Kellan Lutz Online has an exclusive interview with the gorgeous actor. Check it out for yourself and enjoy the eye candy on their site while you're there. Some may have already seen these, but I thought I'd post a few of my favorites. Lion & Lamb Love has some new outtakes from a Teen Vogue photoshoot of Robert, Kristen, Kellan, Nikki, Jackson and Ashley. Kind of funky, but still so worth checking out. The rest can be found on their site. Enjoy! Thanks, Lion and Lamb, for sharing the Love! Ya think this is why Kristen describes these as "Psychotic Situations"? DAMN! Poor Rob, he looks a little overwhelmed. "I don't think I'm a star. I just love to act. I'm not thinking I'm even close to where I want to be." 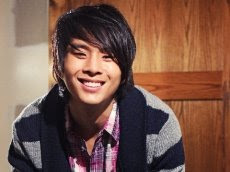 Justin Chon, better known to us Twilighters as Eric Yorkie, is making a mark for himself in Hollywood as a proud, young Asian American actor. The Orange County Register has a great article today about his upbringing in Irvine, CA, being the son of a Korean actor and pursuing his education before giving acting a go himself. He's also got a new movie out this weekend called 'Crossing Over' about the immigrant's struggle in America. Check out the rest of the story here. Special thanks to argybargytoo for the great vids! 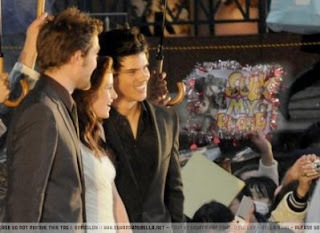 After a day of press promoting the film Twilight in Tokyo, Japan, stars Taylor Lautner, Kristen Stewart and Robert Pattinson braved the cold, wet snow and sleet to join their thousands of fans that were unphased by it. The men were very handsome (of course) and Kristen was beautiful in a dress that would have been very fitting for Sunday's Oscars had she felt inclined to be there. Of course the event at the Ebisu Garden Place was nothing short of the other "Psychotic Situations" they've been in before. Fans thrust pictures, books, and posters at them for autographs and there were lots of cameras for pictures with/of the stars. Rob even stopped for a photo op with one lucky gal who claims to be "Mrs. Pattinson". Yeah...good luck with that...the line forms HERE! E!Online is reporting that Robert Pattinson, Hugh Jackman and friends may be partaking in a little Karaoke while in Tokyo to promote their respective films. There's a drunkfest I'd love to witness! Robert Pattinson was a first-time Oscar presenter on Sunday. Hugh Jackman was a first-time host. So, how'd the two first-timers celebrate? Maybe with a little karaoke. I just got word that Pattinson and Jackman engaged in some karaoke crooning together this week at a bar in Tokyo. The two have been in Japan on business. Pattison touched down on Tuesday to promote Twilight while Jackman and Nicole Kidman attended last night's premiere of Australia. Says a source, "They went after doing press for their films." Details are still trickling in, but I'm told Australia director Baz Luhrmann joined them, too. It's Official...as mentioned in my previous post...it's time to enter Summit's New Moon Contest! Click here to enter with a ONE MINUTE video by March 20th to win a trip to the set and chance to be in New Moon. Best of Luck to Everyone! Ask the Twilight Cast on ExtraTV! Get ready to sink your teeth into something special, Twilighters... because "Extra" is bringing you closer than ever to your favorite vampires! We'll have the entire cast of "Twilight" on our set next week -- and they'll be answering questions from YOU! 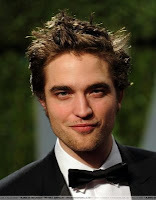 Rob Pattinson, Kristen Stewart, Taylor Lautner, Ashley Greene, Jackson Rathbone -- they're all waiting to hear from you! Just upload your video questions! Rob and Kristen have answered for you before -- in fact, so has Jackson! Be sure to watch "Extra" next week -- and see if your questions were asked! Is an Eclipse in store for Barrymore? 'Twilight': Is Drew Barrymore a candidate to direct third movie, 'Eclipse'? As Summit Entertainment looks to lock in a director for the third installment of the Twilight series, Eclipse, the company is talking to a select group of directors -- including actress-turned-helmer Drew Barrymore, EW has learned. While this news may come as a surprise to some, Barrymore did just finish work on her directorial debut, Whip It! starring Ellen Page. Wanna be in New Moon? How cool would that be?! 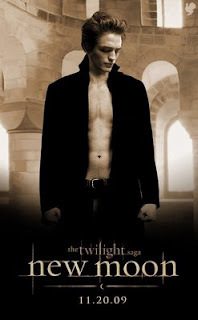 Twilightlexicon shares news today that Summit will be holding a contest for one lucky fan to be in New Moon. We have an exciting announcement to share with you. We will be launching a contest on our official film website, giving one lucky fan the opportunity to visit the set and a chance to appear in THE TWILIGHT SAGA: NEW MOON. 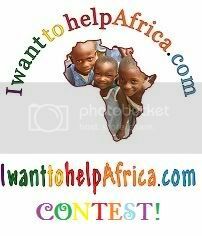 The “Be a Part of NEW MOON” contest will go live very soon. Entry details are forthcoming. The contest will be for US/Canada residents. Hope for Robert Pattinson's Music Career? I found this interesting update on newmoonmovie.org and wanted to pass it along to our readers. Filming in Volterra Not Confirmed Yet? "Municipality of Volterra has written many letters to Summit Entertainment with only one short answer (we read it..and sounds like: "oh, thank you..we are thinking about it…") but has no more been contacted by New Moon production. I know that Variety.com wrote "Volterra, two weeks in may". But, the day after, "Eagle Pictures" (Italian distribution) said to italian press that everything was misunderstood by the columnist Nick Vivarelli." If you visit the website they have set up–they being the group of the Municipality of Volterra, Tourist Office, Bank of Volterra and Fondazione CRV, you can read a heartfelt letter (in Italian) that was sent to Summit, and more news concerning their attempts to have New Moon filmed in their lovely home city. If you’d like to help them, they’ve set up a petition for you to sign that is fairly easy to understand whether you speak Italian or English if you believe New Moon should be filmed in Volterra. Hhopefully we’ll be hearing more insight into this situation! What are your thoughts? Will it make it more authentic when watching New Moon KNOWING it was filmed in Volterra, Italy, vs. a soundstage? Let’s just hope that if Summit bypasses filming in Volterra to save a buck that they step it up with a realistic set. I’m not sure I care as long as Rob (er…Edward) is shirtless when Bella reaches him! 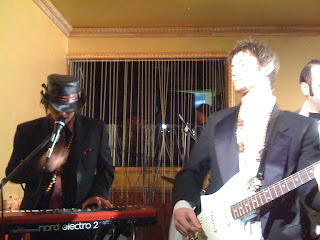 The awesome, Danielle from Jackson Fans on myspace was nice enough to share her experience at the 100 Monkeys show at 24k this past Tuesday night. Here's how it went down! Alright, so lets see. Hmmm...The band was just great. Jerad was very interactive with the audience. That was really nice. He's been more reserved at the last couple of shows I've been to. Jackson looked smashing as always and was really excited that it was Fat Tuesday. He passed out 3 bead necklaces and I got one of them. =) Ben G, was amazing as always, Wanda from Ben Graupner fans was there and he was really excited to meet her. He kept saying "Hi Wanda" over the microphone. Ben J, and Sean were of course really quiet, but I finally got some great shots of Ben J. Its so difficult to do so since he's in the back. Uncle Larry was awesome as always. He came up to my friends and I and shook our hands after the show. I loved it when they were playing a song and Jackson broke 2 strings on the guitar he was using and kept playing. It was great. I know people that just quit. He knew what to do. He seemed pretty proud of himself. I was really excited when they started play "Orson Brawl" and was going to film it, but Marty (the banana guy) and a group of other people started a mosh pit(again) and pushed me out of the way. So I couldn't film. Everything was fine, except for the wannabe mosh pits. I have bad knees and joints and I was right in the front and every time they would try to start one, I would get pushed into the stage which is even with my knees. A couple of us in front got knocked down onto the stage. I think it happened to me the most. It wasn't very cool. But aside from that, it was great. I love seeing the guys perform. They're amazing. I'm just bummed that I wont be going back up until March 19th for their all ages show at The Mint. These guys are just amazing. Talented and great to their fans. Thanks for sharing with us, Danielle!! 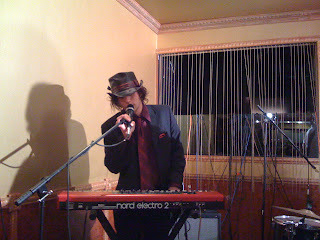 Tammy was nice enough to share a few more pictures of last nights 100 Monkey show at 24K in LA. Scroll down if you haven't seen the others! Two scenes with Rob in New Moon? 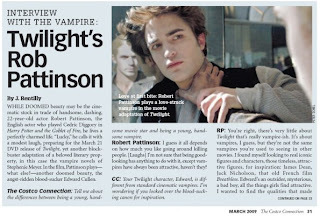 We interrupt your regularly scheduled 100 Monkey Wednesday for a little bit of Rob/New Moon news. I'm sure Jacob fans are excited. Me...not so much. But sounds like they're sticking to the book which is good! Yeah I know the title doesn't rhyme and for a writer I should be able to think of something much cuter but hey, it's early, I have two kids and a dog at home all circling around me wanting attention and I'm just wanting to spread the word about 100 Monkeys so here it is! We've been lucky enough to see 100 Monkeys play a number of times and I have to say, each time I'm more impressed. My first post for today (yes, only my first :)) I just wanted to share a few photos of those Monkeys we love so much. The first, our lovely Team Moose sister, Ana got while in San Fran this past weekend. 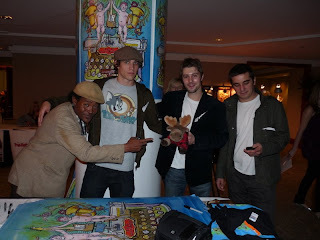 I can't believe we have 100 Monkeys taking a picture with JTM. He's is one lucky moose. Personally I think next time it should be a lovely coven mother, hmmm, let's just say me for example should be in the middle of that picture too. Yeah, I'm liking that idea more and more. 100 Monkeys, if you're out there, how about it? LOL. Coven sister, Tammy (damn lucky woman who lives close enough to walk to 24k every Tuesday) made it to last nights show. Lovin' Jackson's outfit here. Can you say, yum? Yes, I think so. That's all from me for now! I'll be back later with a first hand account of last nights wonderful show and hopefully more pictures! If you get a chance to see 100 Monkeys....DO. They're amazing. So talented that you just want can't help but come back for more. I'll leave you with a poem I wrote for them. While on Kellan Lutz Online I found a funny video of Kellan while at the SF Convention. Apparently, Rob isn't the sporty type as you can see in Kellan's best Rob impersonation. And if you get an email on facebook from Kellan Lutz....its not him....not that I actually believed the sent me a message but if you come across a unexpect Kellan message its fake.. Kellan makes it known he does not have a myspace page nor a facebook. 100 Monkeys are just A-M-A-Z-I-N-G!!! With all the excitement going on and so much happening, I did want to take the time to give a million thanks for Ana for getting a 100 Monkeys shirt autographed!!! THE MOOSE BLUES!!! AMAZING! We have it on our site and iPods! Vampire Ball, Kellan & Jackson! Late last night after the 100 Monkeys show, Ana and Jackson the Moose (JTM) headed back to their room to get ready for the Vampire Ball! Below was Coven Mother Ana is her awesome dress! "I got to hug Kellan and he told me I looked amazing!" "I got to meet Jackson up close and got a hug!" W-O-W and OME Ana! What a day you were having!!! Thanks for sharing updates with us, we have been enjoying them thoroughly!! Keep them coming! We can't wait to see your pictures when you get back and for more stories of your weekend adventure! Glad you and Jackson are having a great time! Since we are meeting up on March 1st, we can't wait to hear all about it and more importantly update our sites with pictures! Thank you for sending us pics via TEXT! Having updates as they happened was great! Can't wait to hear your next adventure.... P.S, you DID look FANTASTIC!!! The girls were in fact working with you last night! LOL, ;)!!!!! Our Coven Mother, Ana has been super wonderful to chaperon Jackson the Moose at the San Francisco Twilight Convention. They have gotten to meet a ton of people and had an amazing time. I love this dress!!! Thank you Ana for keeping us all up to date! As the first post, I wanted to take a moment and thank all of my "sisters" who without them, there would not be a Twilight Sisterhood! Talk about a roller coaster! Five weeks ago, I don't think any one of us had any idea of what Team Moose was going to turn into. It is amazing what can happen with 4 women, Starbucks, and a moose! Thank you Vanessa, Julie, Kelley, and Ana! I can't wait to see what this all turns into!